India's Fastest Growing Entertainment Chain! 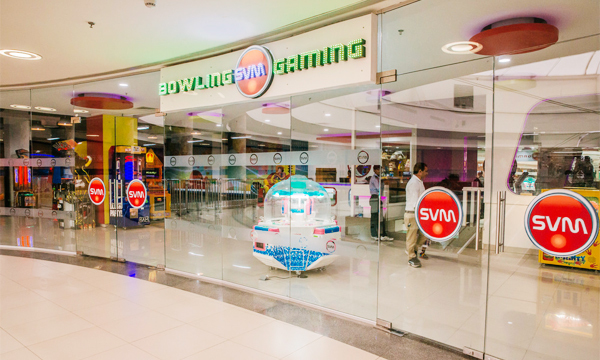 SVM Bowling & Gaming is promoted by SVM Pvt. Ltd., a fully integrated entertainment company with an enduring passion to bring international standard bowling, gaming and entertainment to India. In a very short span of time, SVM has captured the imagination of numerous enthusiasts and has taken giant strides in spreading unparalleled excitement across Andhra Pradesh. In 2009, SVM opened its doors to Hyderabad’s Bowling & Gaming enthusiasts with a first-of-its-kind multi-level entertainment destination. SVM combines hyperkinetic action with wholesome entertainment to deliver a first-of-its-kind experience for the fun hunters. Funnelled with a best-in-class 5”glow” lane Bowling Alley, a first in Hyderabad, and a jaw dropping 9000 sq ft. Gaming Area, the largest console gaming station in India. Area Required: 5000-10000 sq. ft.